SIVB is a professional society devoted to fostering the exchange of knowledge of in vitro biology of cells, tissues and organs from both plant and animals (including humans). 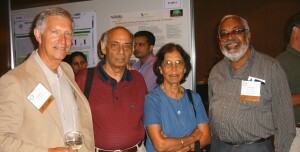 The focus is on biological research, development, and applications of significance to science and society. SIVB’s mission is accomplished through the Society’s two world class journals and newsletter; national and local conferences, meetings and workshops; and through support of teaching initiatives in cooperation with educational institutions. Over the years, SIVB has expanded to create an environment of scientific exchange and interdisciplinary synergy with the goal of advancing current and future systems for in vitro biology. What Is “In Vitro” Science? In Vitro means “(of processes or reactions) taking place in a test tube, culture dish, or elsewhere outside a living organism.”1 In vitro researchers and biotechnologists conduct their research on cells outside of the cell’s body. 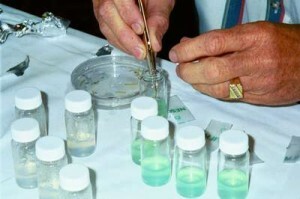 Areas of research include Stem Cells, Biotechnology, Cellular Aging, Cellular & Molecular Toxicology, Chemical Carcinogenesis, Cytokines, Growth and Adhesion Factors, Gene Therapy, Differentiation and Apoptosis, Infectious Diseases, Cellular Pathology, Oncology, Genetic Engineering, Cellular and Developmental Biology, Metabolic Engineering, Secondary Metabolism, Micropropagation, Molecular Farming, Signal Transduction, Somatic Cell Genetics and more. On the other pages in this section, you will be able to find information on SIVB’s history, governance, awards, policy and more. Don’t see what you are looking for? Then contact us. 1. Oxford Dictionaries, Oxford University Press, 2014.